This essay, “Ni, Si, and Self-Delusion,” won 3rd prize in the CelebrityTypes essay contest. The views and type assessments expressed in this essay represent the opinions of its author and not the editorial point of view of the site. In Jungian typology, Introverted Sensation (Si) and Introverted Intuition (Ni) represent the two possible forms of introverted perception, by which we gather information and understand the world by relating our internal perception to what we see in front of us. The nature of these introverted perception functions is that they are focused on the subject (i.e. the person’s own psyche), rather than on actual, external objects. This focus lends Si and Ni users a certain tendency towards self-delusion. For while introverted perception can provide us with greater depth and complexity of perception than would be possible if we only had extroverted perception, we also pay a price for this mode of perception because it makes us more detached from objective reality. Introverted perception may therefore lead to irrational fears, ideas, and beliefs. Both forms of introverted perception fall victim to such delusional notions at times but they tend do so in different fashions, each revealing a different facet of their function. To begin, let us consider the differences between Si and Ni. Both functions tend to develop a kind of mental “roadmap” for future activity, which is based on personal experience or associations. The subject’s personal perceptions are unconsciously reinterpreted to represent general truths. But this is where the similarity ends. Si, as a sensation function, preserves the person’s subjective experience in a literal fashion whereas Ni, as an intuitive function, tends to ignore specifics, in favor of what it perceives to be the “true underlying” patterns, essences, and meanings in events. Strong Si types (SJs) are often described as “conservative” and “level-headed” and the reason for such epithets is that Si bases its attitude to, and assessment of, the future on what the individual has personally experienced before. For this reason, Si types tend to lack a certain confidence when they approach “new” things that do not resemble anything that the Si type has experienced before. They want to be sure that they are doing it properly. To the Ni type, what is objectively new and unfamiliar is not really experienced as “new” at all, because Ni is neither bound by external (E) or physical (S) frames of reference. As such, all other things being equal, NJ types tend to exude a greater confidence when approaching “new” things than SJ types do. Whereas Si is inclined to create new frames of reference whenever it encounters something that it perceives as novel, Ni likes to use as few as possible, and ideally would like to condense everything into simple, universal truths that require as minimal an explanation as possible. Again this difference causes each group to exhibit distinct biases when it comes to planning for the future. Relative to SJs, NJs have a tendency towards delusion optimism. This optimism is engendered by the remarkable capacity for reinterpretation that is the hallmark of many an Ni type: Ni can shift among any number of internal perspectives in order to perceive and interpret the same thing from multiple different, subjective angles. In this way, even the Ni type’s own delusional mistakes can be reinterpreted to appear in a more positive light. With full credence in his powers of interpretation and reinterpretation, the Ni type tends to believe that ultimately anything can be understood or archived. While this characteristic might give the NJ types the advantage of keeping their spirits high, as well as the ability to easily spot a Plan B when things go awry, this same optimism and belief in their own abilities can also lead to a kind of self-assured carelessness where NJs ignore the necessary elements of practical preparation. Similarly, they may not always bother to learn enough about a given topic before diving in, being confident in their already existing knowledge and abilities. No matter what happens, their attitude seems to say, they will find some way to employ the resources at hand to solve their problems. Ni types, when they have not developed their extroverted judging, tend to make plans which are dangerously optimistic and that allow for no margin of error. They tend to fool themselves into thinking they are being efficient when they are really just demanding the impossible of others, or indulging in free time and reveries, thinking they can “execute the plan and reach the goal” in one sitting if they want to. Si types, on the other hand, instinctively feel that the world is less predictable and therefore that more sound and practicable plans are necessary. But the Si bias towards perceiving the world as fundamentally unpredictable also carries its own capacity for engendering irrational ideas. Because Si types tend to see their own experiences as they relate to their personal subject, they sometimes fail to see the underlying connections between one experience and the next. Because SJ types, and especially ISJs, are prone to see potential disaster around every corner, they often expect new things to go poorly and may be overly risk-averse as a result. Just like an underdeveloped INJ is likely to under-devote himself to a menial task that doesn’t interest him, then, so an underdeveloped ISJ is likely to devote an excessive amount of preparation and planning for a upcoming event that features elements of the unfamiliar. Unless they develop their auxiliary extroverted judging functions, INJs and ISJs may therefore have difficulty discerning between objective reality and their own internal perceptions. Ni, Si, and Self-Delusion © Christian Vieweg and CelebrityTypes International 2014. 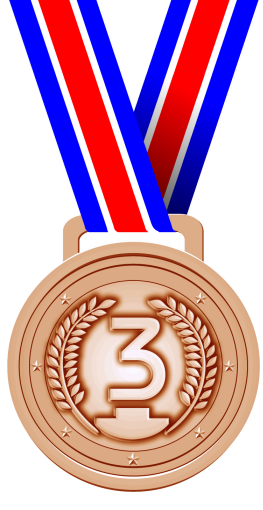 Drawing of a medal commissioned especially for this publication from artist Georgios Magkakis. Ni and Si is source of self-delusion only as dominant function (INFJ, INTJ, ISTJ, ISFJ) or also auxiliary (ENFJ, ENTJ, ESFJ, ENTJ? All types have Ni or Si as any function. We guess what is meant is SJs and NJs. I found this article more interesting than the 2nd prize winner. Yes indeed, they were all very close. In disciplines where there are no numeric criteria to judge by, there will always be some element of personal taste involved. As an INFJ myself I would have to say that the self delusion I experience through my Ni only happens if I have unreal expectations of myself, and it does happen quite often. I sometimes think I need to be masterful at something even though its my first time doing it and I get self critical and just quit. That being said it can also be counter intuitive for me to obsessively prepare for something because then i’ll try to Ti my way through it and that just ends in failure and self criticism; although that might work for INTJ’s because their thinking is extroverted. When it comes down to it Ni is never alone and still relies on Se for data so the jump right into it approach is still the best approach for becoming a master at something, even if u experience failure along the way. The delusional INJ might not be bound by physical or external frames of reference, but the mature INJ realizes the only way to foresee the future is to be in the present moment. I think this is basically right, at least for an INTJ. A mature INTJ learns that Ni is worthless without a solid grounding in reality with Te and, eventually, Se. This has been historically how I have dealt with my emotions. Tertiary Fi feeding directly into Ni creates some really convincing but far out emotional conclusions. When I finally sit down and apply Te rigorously is when I regain balance and stability. I’ve always thought it as “getting my head straight” or “wrapping my head around a task” when I’m struggling to motivate myself to do something I don’t really want to do. Over the years I have always unequivocally typed as INTJ, but with progressively diminishing values for everything but the N, i.e. these days I’m more iNtj. However, the above description of the ISTJ resonated with me. I tend to expect the worst, over-prepare for novel situations, and acutely remember my mistakes rather than rationalize them away. Thoughts? Should I just write the S traits off as flukes/outliers? Absolutely. And we frustrate ISJ types to no end with our “risky” under preparation for future events. We even self-sabotage this way, becoming so used to say, not having to study in order to get good grades, that we believe that we can manage most any environment/thing without preparation. When academically oriented ISJs secure better grades in school, it’s often for this very reason. They diligently study, papers organized, list compiled well in advance, and aim for the “A”. They make it because they laid down a realist plan of action based upon actualities. INJs, many of us, don’t really study in the more acceptable sense of the word. We contemplate the universe and plot our roles in its unfolding during class. We may even earn lackluster grades as a result, but not feel any immediate call to action to improve them, believing that everything will be alright in the end. In a last minute realization that we’re not actually passing-even though the class is ” easy” or we “know it all already”-we’ll often determine how to turn a semester’s worth of ” Cs” into a final grade of “A”. Yes, and we very often we do. We can also get entangled in what other types may believe to be impossible relationships. We’re going to counsel that drug addicted junkie to sobriety, push him towards individuation, and then marry him in France. Or, perhaps we’ll marry him first, moving him away from his toxic family of origin and into our armchairs! After all, we’re soulmates as indicated by synchronicity. We were brought together-on the internet-serendipitously, to change the world with our insight into unconditional love. Never mind how we intend on doing any of this. We know we can. We’ve seen it in our mind’s eye. And we will. We INJs are, in part, fueled by arrogance of belief. We will sit the bench for years if we delude ourselves into trouble, refusing to act at all until we can reconstruct our roadmap/worldview. The world may seem to pass us by. Some may wonder why we aren’t living up to our potential. A major stumble or misstep may throw us into deeper than usual contemplation and inaction. Like the sleeping giant, our turn awaits us. We are confident in that. Xinx, I too have typed as N, but if I had to be honest with myself, I’d say on the whole I am typically a more risk-averse and worst-case scenario type than over-confident. In short, I think I’m confusing my sharp memory for specifics — and my subsequent synthesis and categorizations of these details into many specific frames of reference I’ve built over the years for my own personal catalog — for the collective, universal reality that Ni really grasps, independent of whether or not it has experienced a thing before. I might be wrong, but I think that Ni can generalize (for better or worse) an infinite number of new occurrences to only a finite number of already-established universal truths about reality, whereas Si specifies many occurrences to wholly separate truths based upon personal experience, instead of the collective, shared reality that Ni assumes. Although I don’t enjoy preparing, I usually relent to the compulsion to do so, because I lack confidence in my ability to improvise in situations in which something new might be experienced. Ni doesn’t seem at all to reference personal past precedent, so hence the confidence and overconfidence when faced with the new. Of course, I could be wrong, so anyone who wants to jump in, please do. I also wondered then if sometimes ni can also imagine the worst, as well as the best, scenarios. Moreover, since the ni/se axis can “over-commit” to one area, would it be correct to say that ni bounces around within that one area but still commits to the area nonetheless, while si rejects outside ideas and commits to a few select ideas and doesn’t bounce around within those? I’ve found i tend to over-prepare with my work but little else, having a marriage to the queen of the sciences (maths) and I find I do enjoy preparing for it, wanting a holistic view of what I learn like an infj even though I’m more of an intj. Injs that have a well developed se can have more practical sides to them, but they still have to work hard at seeing these for it doesn’t come naturally, as it does with isjs. Similarly isjs with good ne can learn how to adapt to new situations, even if this doesn’t come naturally to them. Personally I’ve found myself often being optimistic and seeing the light in my mistakes, quite naturally though I sometimes have doubts. Generally I’m one to easily bounce back, so that’s probably elements of ni. The problem I see is the idea that Si looks at the unpredictability of the future where Ni does not according to the author’s speculation. With every pattern perceived there is the idea that the future holds the X variable which holds fast the iNtuitive’s focus. Any intuitive worth his or her salt will be seeking out the next chain of events based on previous information. Ni is nothing if not mapping out future outcomes and preparing for what is likely predictable even if it is not neatly predictable. According to my observations, Si likes a return pattern of what has happened before and less willing to accept a divergence of past experiences which often times causes them to be caught off guard more so than what I’ve seen in Ni-doms. INTJs are probably more likely to be surprised by a person’s emotional behavior pattern than what will stymie them in a political debate’s counter argument against their views. INFJs will more likely be surprised by the apathy of a person who can’t see that killing animals is cruel. ISTJs are more likely to be taken by surprised that ex-cons can change to become productive and caring citizens in society with loving families. ISFJs are more likely to be surprised that after the marriage vows that the spouse never intended to keep those promises. I’ve seen of every type (every human) that they have the capacity be self delusional by either how they interpret the outside world and other people’s points of view to how they see themselves in comparison to how the system or the Universe works. For most of what was said about the Ni-doms not putting in a great deal of preparation time and not looking before they leap when thinking they understand new ideas, I absolutely certainly agree on these points and some others. Si is always accompanied by Ne in a persons top 4 functions. It’s not so much that “Si looks at the unpredictability of the future”, as much as Si prefers the PREDICTABILITY of past subjective experience, and Ne (which by definition will be tertiary or inferior for a “strong” Si type [meaning Si is dominant or auxiliary]) looks at present tense or short term future tense possibilities with a bias towards pessimism or personal failure/shame/lack of capability. Strong Si types see the ambiguous as threatening, not exciting. They tend not to see possibility as much as bogeymen around every corner. OMFG this prefectly describes my SJ mom and NJ dad!! This was a good article. I have dominant Ne and introverted perception is kind of confusing to me. This really seemed to go into the differences between Ni and Si well, I thought. I still find it a little hard to tell the INJ and ISJ types apart because all that introverted perception is internal. Trying to figure out if my mom is INFJ or ISFJ! This is likely to be a “feel good” opinion. Statistical inference is useful in reality (not to be discarded as plain optimism). Delusion is present in all perceiving functions as a side effect of their benefits. Se is fooled by appearances, Si “knew” that building a first plane was senseless, people was not known to fly. Ne simultaneously believes in mutually exclusive ideas waiting for the feedback to select zero or one of them. Ni makes hypothesis, a few are wrong, it does not prove theorems (thinking does), or enhance relationships (Feeling does). What is important is the percentage of false positives for each one in their target fields.